De la musique antillaise illuminée d’arrangements jazz, de claviers, de pianos électriques et de trompettes, les cordes de basse tendues vers le funk, où le battement du tambour ka reste le moteur principal. Following the reissue of his cult album “Ti jan pou vélo”, we decided to continue our collaboration with Edmony Krater and record a new album! The first one in 30 years! 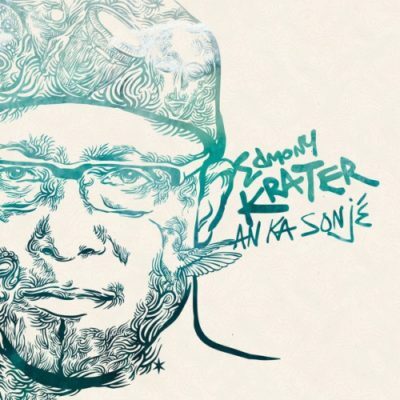 As an avant-gardist percussionist, singer and trumpet player, Edmony Krater has always worked to develop and promote the gwoka music of Guadeloupe and to feed it with different influences, from jazz to reggae.